In 1971, President Richard Nixon visited mainland China and when he returned, brought with him a new acceptance of many Chinese items, philosophies … and cures. One of the cures to come to the United States during this time was the healing “magic” of acupuncture. Acupuncture referred to the method of precisely inserting needles into various strategic points in the body as a means of reducing and or eliminating an injury or illness. It related to a Chinese medical philosophy that an imbalance in the body’s tch’i (the body’s energy) could be readjusted by tapping into the acupuncture points, of which more than 900 existed. 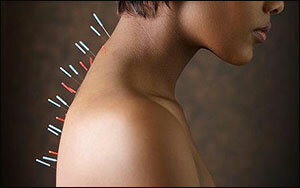 Many people claimed that acupuncture worked when no other medical treatments or procedures seemed to help. Athletes such as Los Angeles Rams quarterback Roman Gabriel and San Francisco Giant slugger Willie McCovey received acupuncture treatments, as did Alabama Governor George Wallace. The treatment was used in various manners including diet control and as an anesthetic. The medical community stepped up and supported the practice including a member of the New York State Board of Medicine and White House Physician W. E. Lukash. Eventually, as often happens, the mainstream medical community sought to discredit acupuncture, claiming that it only acted as a placebo and that it could have detrimental effects. Soon, state commissions sought to place stringent regulation on acupuncture and many of the offices and treatment centers began to close down. Acupuncture is still practiced in China and revered for its incredible success. Perhaps, as more and more alternative healing methods are embraced it will make its return in importance in the west.